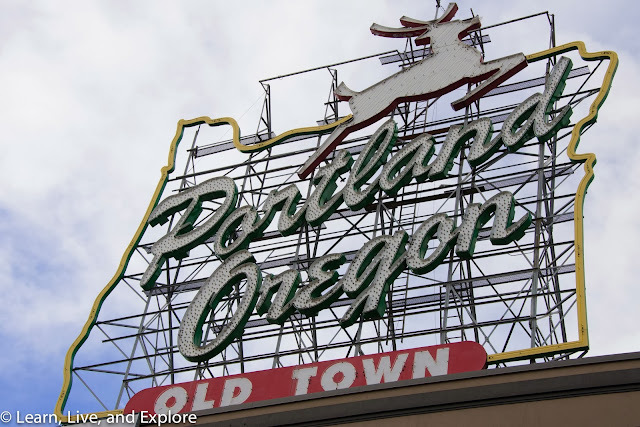 My "Best of" Portland, Oregon ~ Learn, Live, and Explore! While I spent a good portion of my formative years in and around Portland, Oregon, as an adult now living on the east coast, I rarely return. When I do, I love that even the familiar becomes an adventure. So while on the west coast for the holidays, I made a quick 24 hour trip to P-town to run around to old haunts, try new places, and take photos while I'm at it. 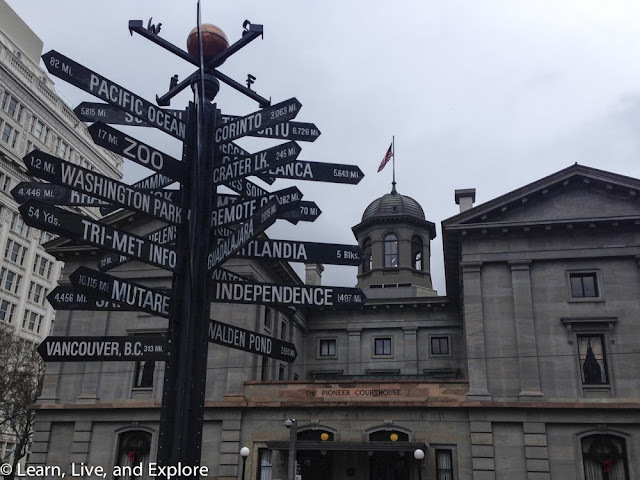 Center of it all is Pioneer Courthouse Square in Downtown Portland. Though not much to see, this is a good orientation point for deciding on your walking paths - yes downtown Portland is very walkable. 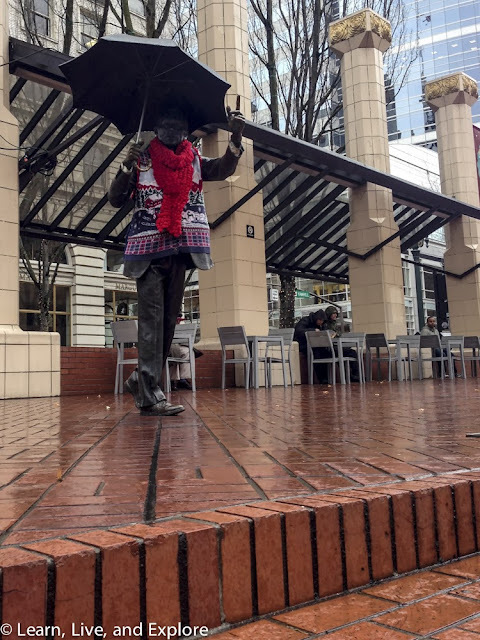 Don't miss the famous statue of the man in the rain, dressed in his ugly Christmas sweater apparently for the holidays if you're there in December. Powells Books: If you are a bibliophile of any magnitude, then Powell's Books is a place where you will need to allot a good chunk of time during a Portland visit! I had to stop myself after just 2 hours because my back was starting to hurt from the weight of my basket. Housed in a 68,000 sqft building that occupies a whole city block at 10th and Burnside, you walk in the door and quickly realize you will need to take one of the complimentary maps to explore all of the new, used, and rare books available. The bookshelves sometimes require stepladders to reach, and you'll find one in practically every aisle. Book suggestions are numerous everywhere, identified by the folded cards on the edge of the shelves. If you remember the Choose Your Own Adventure books from the 1980s and 1990s, then this store ironically seems like you're living in one of those books - where each staircase leads you to a new adventure path. Sadly, I spent the majority of my 2 hours in just one room and left the remaining rooms to be explored on a future trip. Portland Saturday Market: What was once just a small square near the Burnside Bridge, Saturday Market is now spilling into three areas, including space along the riverfront. 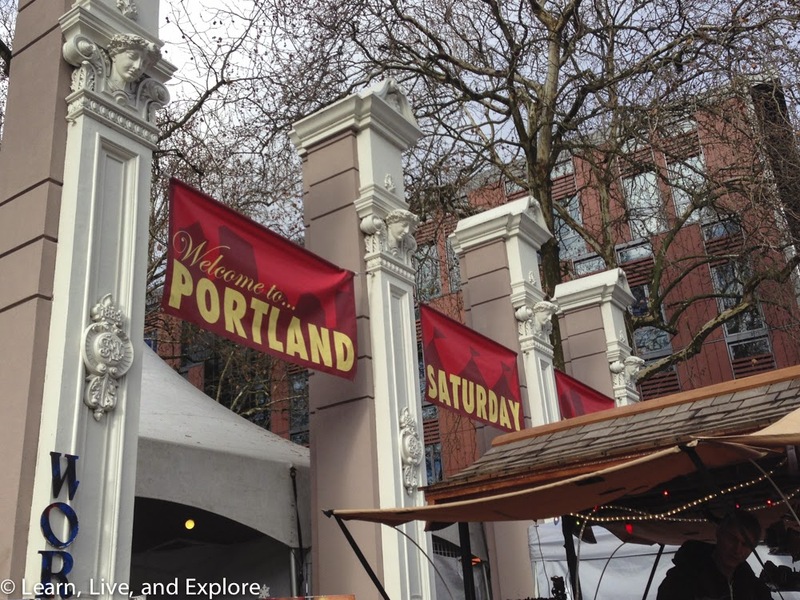 On the weekend, local artisans bring their goods to this market to sell. Great place for souvenirs! 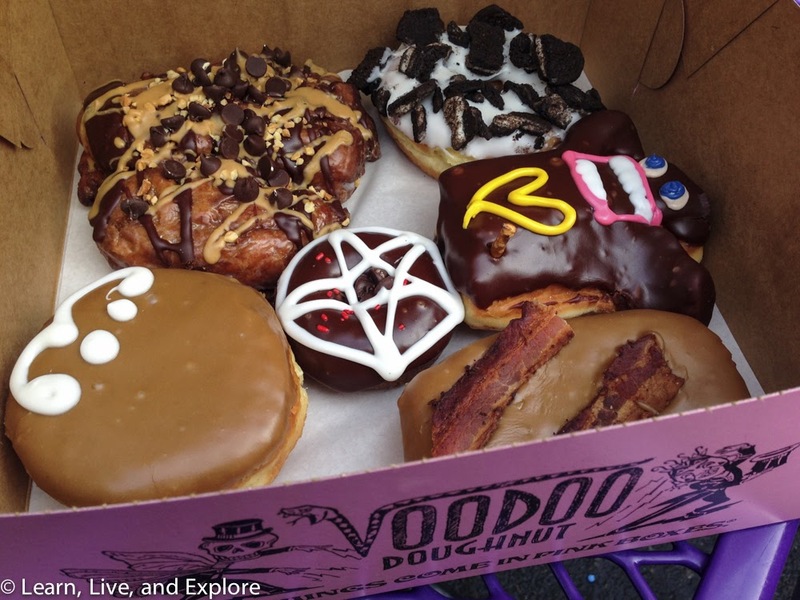 Also, Saturday Market is conveniently located around the corner from the very popular Voodoo Doughnuts. 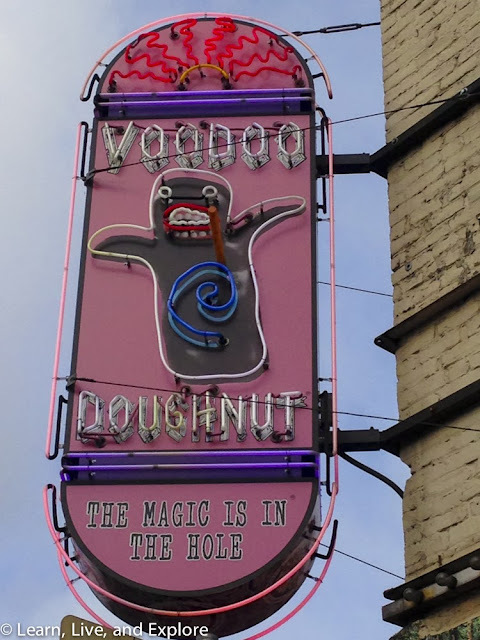 If you're from Washington D.C. or have visited, you might equate Voodoo with Georgetown Cupcakes - tons of hype, line around the corner, higher than average prices. I wasn't too impressed by the doughnuts themselves, but the experience was fun! Clockwise starting at 1 o'clock: Dirt Doughnut (yeast doughnut, vanilla frosting, Oreos), Voodoo Doll (raspberry filled yeast doughnut with chocolate and pretzel stake), Bacon Maple Bar, Diablos Rex (chocolate cake with chocolate frosting and red sprinkles), McMinnville Cream (Bavarian cream filled yeast doughnut with maple frosting), Memphis Mafia (fried dough with banana bits and cinnamon topped with chocolate and peanut butter frosting, peanuts, and chocolate chips). The weather was a bit uncooperative (how shocking!) but I did get a few photos that I sought. 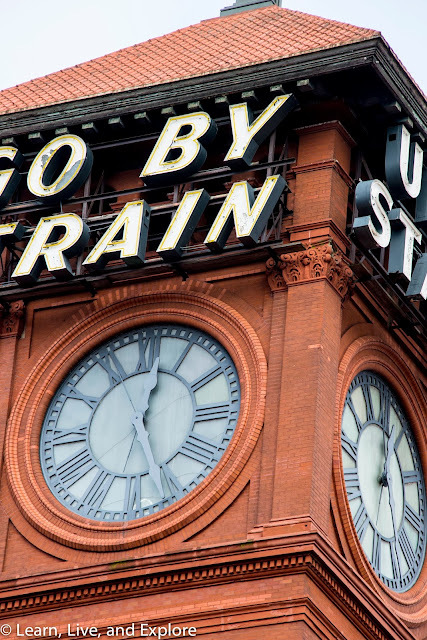 One of which is the Old Union Station sign. 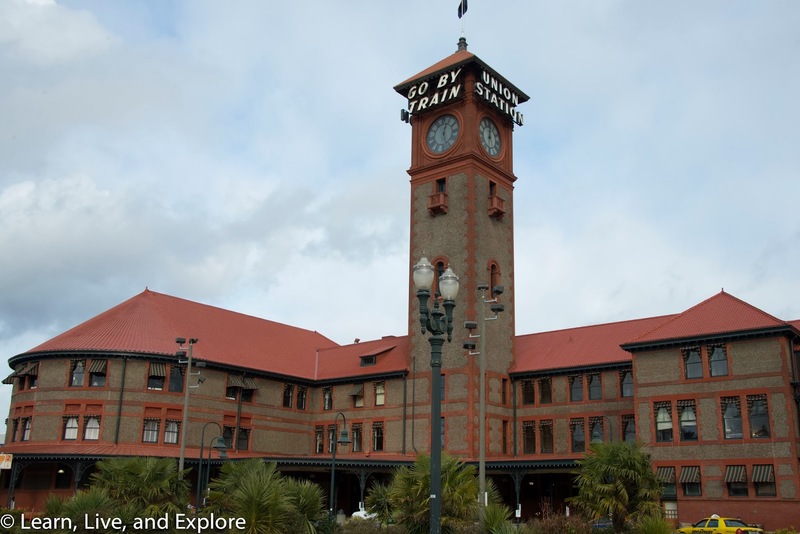 What I love about Portland is that they have maintained many original buildings that reveal the charm of the city from as much as 100 years ago. The train station exterior is a must see, but the buildings near Pioneer Courthouse Square are also interesting - I'm specifically recalling the old Meier & Frank department store building (now Macy's) that reminds me of the company's NYC Harold Square flagship store with the old escalators. The Pearl District is a whole new neighborhood for me because, growing up, it was not a desirable part of town. Now the old buildings north of Burnside are occupied with newer loft-style condos, fancy townhomes, small boutique shops, bars, restaurants, and some mainstream retailers. Since my trip was so short, I wasn't able to get to some of my other "best of" places, unfortunately. One of the items on my list, and probably not one that you would find on any other list, is Rimskey's Korsakoffeehouse. Located in an old, nondescript house in an unexpected neighborhood, Rimskey's was the quirky place we liked to go to on weekends for coffee and dessert. It was also a fun place to take people for the first time because they had three tables that have a mind of their own. I won't say more for good reasons, but don't worry, it's a fun surprise! 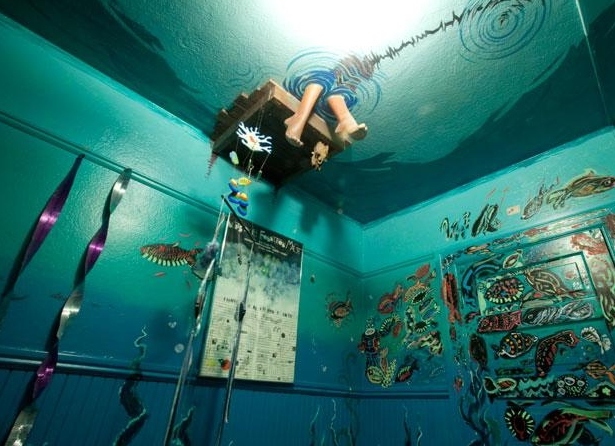 This may seem weird, but I would also suggest that you find a reason to use the bathroom at Rimskeys just to have that experience! The photo below gives you a sample of what you're in for, but it doesn't do the room justice! The coffee and desserts are decent, and it's a cash only operation, but it's all worth it for the atmosphere. In the spring and summer, don't miss Portland's famous Rose Garden and Japanese Garden. And for the preeminent postcard view of the city with Mt. 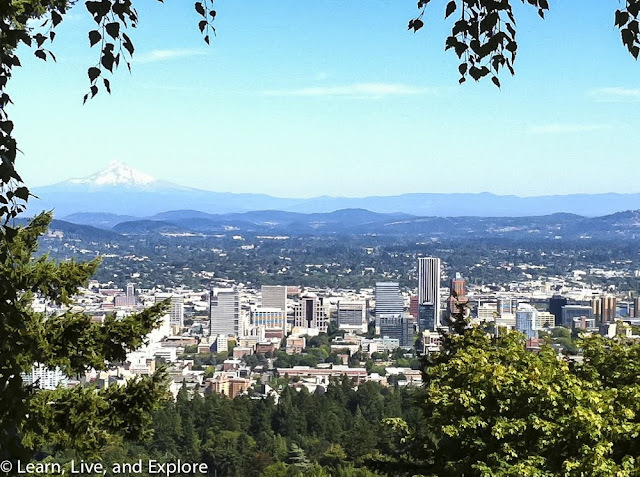 Hood in the background, find your way to the gardens behind Pittock Mansion. or Deschutes Brewery. Also, don't miss out on the food cart madness. Permanently situated around the perimeter of several parking lots downtown, these food carts/trucks serve up good food for great prices. As a big fan of food trucks, I was in heaven! With some extra time and a car on your hands, Multnomah Falls is the place to go. It's a less than 40 minute drive to see this gorgeous waterfall. 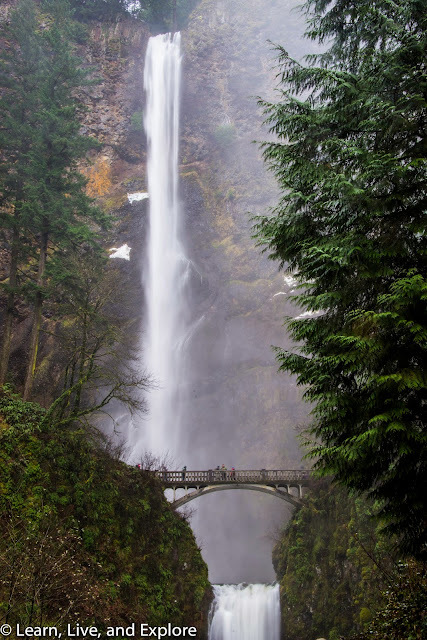 If you are inclined, you can walk to the top and get a view down the falls and into the Columbia River Gorge.